Hue Animation Studio contains everything that a budding animator needs to learn to create stop motion animation videos. The animation software has been specifically designed for educational use, with a user friendly, fully-featured interface. Children of all ages can be creating their own stop motion films minutes after first installing Hue Animation Studio. Also included in the package is the market leading Hue HD USB webcam, which is a flexible plug and play camera with built-in microphone. The Hue webcam is perfect for stop motion animation, as well as for taking still pictures, recording real-time videos, video chatting worldwide, document imaging and visualisation.You can also export your finished films ready for sharing on YouTube or your favourite video service, or simply share them with friends directly. The webcam’s innovative and versatile design offers unlimited positioning options. Users can either leave the Hue in its base or connect the camera’s flexible neck directly to a laptop’s USB port for mobility. The webcam is available in a choice of six colours: red, green, blue, pink, white or black. Hue Animation Studio comes with powerful tailor-made software, ideal for use by anyone from novice animators creating their very first film, through to experienced animators looking for a fully featured animation suite. Sounds can be imported either from your computer, or recorded directly in the software itself using the Hue webcam’s built-in microphone. Another key feature is onion-skinning, which displays a transparent image of the last frame you took over the live camera feed. This is invaluable for creating error-free, smoothly animated sequences. be the best money spent by far…. Nikon COOLPIX Review – I’ve Had Enough! 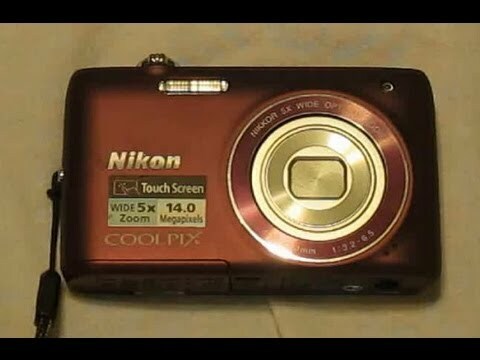 After several months of use, I’ve had enough of the Nikon Coolpix S4100. It’s a decent camera, but there are too many annoyances that add up to making the camera a pain to use for me. I’m going to replace it with something else. This video summarizes the reasons I don’t like it.